Blurb: "Never tease anything that wants to eat you. My name is April Tate and my blood is the new gold. Vampires and hybrids have overrun my world, once vibrant with life, but now a graveyard of death shrouded in shadows. I fight to survive; I fight for my mother and brother. The journey is full of turns that I am quite unprepared for. 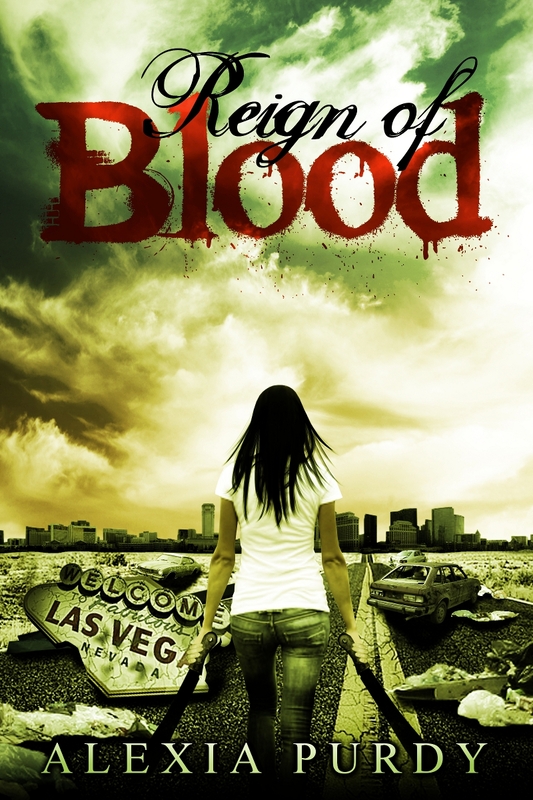 And I'm just hoping to make it to the next Vegas sunrise..."
The story starts off with the aftermath of a viral epidemic. A virus has taken hold of the population, turning them into vampires. These aren't the glamorized kind of vampires, they are mindless blood-sucking fiends. They almost remind me of zombies except they need blood to survive, and they have a kind of hypnotic trance that can trick most humans. April is somehow immune to their tricks and is trying to survive with her mother and brother. The first few chapters follow their journey. They live in a bunker in the mountains but venture towards the city for food and weapons. On one of their outings, April's family disappears with only one clue: tire treads. April searches Las Vegas for days with no trace of her family. On her journey, she attacks hives of the feral vampires in hopes of finding them. What she doesn't expect is to come across a hybrid vampire who is able to speak and walk in the sun. April is introduced to the hive of hybrid vampires. She believes that they may be able to help her find her family, but not without a cost. Then there is Rye, one of the hybrid leaders, that is fascinated with April. I won't go into details on that one :-) you have to experience that for yourself. Will April get the help she needs from the hybrids to find her family?